What Questions Are We Asking Our Interested Buyers? Hey guys, welcome back again to my agent blog. Today I want to talk to you about something that has really helped us on the buyer side of our business. When we speak with buyers on the phone, we use what is called the “LP MAMA” script. However, lately we have made one distinct change to our script that has paid huge dividends. 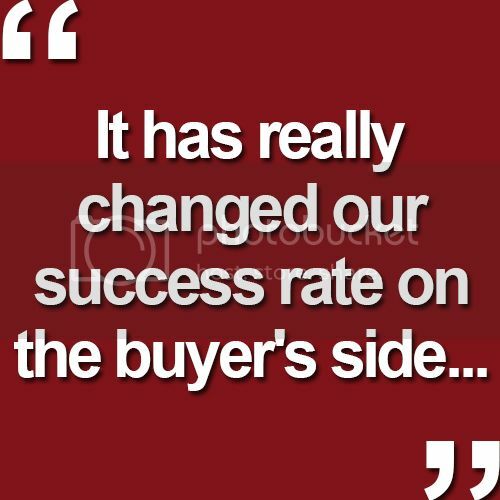 When we are on the phone with a buyer, before we go to our normal qualification script, we ask them right off the bat, “Would you like to see the property you are interested today?” It has really changed our success rate on the buyer’s side, because when you lead with the appointment, it’s so much easier to get the info for the rest of the script. So give this a try and let me know how it goes. If you’d like a copy of the scripts we use on the phone with buyers, just send me a quick email and I’ll send them over. Also, if you have any clients or know of anybody moving to Arizona, we serve the entire state, and would love to compensate you for your referrals. How Does Lead Tracking Help You Advertise Efficiently? Can Group Texting Improve Your Business? Why Does a Quicker Contact Time Lead to More Conversions? Have You Exhausted All Possible Lead Sources? Get the tools, process, and systems we are using on our team every day!